Help Lotus Live Pain Free! Lotus, a sweet & loving Pit Bull Mix, has had a tough go of it. Abandoned, she was found looking for food & shelter…and in a lot of pain. Once rescued she was diagnosed with a broken hip, most likely from being hit by a car. Hip surgery will let Lotus be the playful girl she wants to be and to finally live without pain. 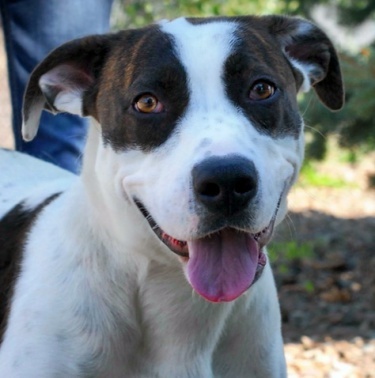 She deserves a shot at a happy life with a loving family! Let’s help Lotus – Just $15 will help get her surgery and live pain free!